Welcome to the B.A.B.Y. lab! 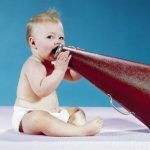 The Behavioral Analysis of Beginning Years (B.A.B.Y.) Laboratory is housed in the Eleanor J. Gibson Laboratory of Developmental Psychology. We are located in Uris Hall on the Ithaca campus of Cornell University. The lab is directed by Michael Goldstein, Ph.D and Jennifer Schwade, Ph.D, both members of the Department of Psychology. We study the development and evolution of communication and social learning. 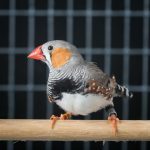 We take a comparative approach, and are one of the only laboratories in the world that has active, in-house research programs on both human infants and songbirds. Human infants and baby birds develop increasingly sophisticated means of communicating that regulate and are regulated by social interaction and feedback. We seek to understand the mechanisms by which communicative development takes place. Our research is funded by the National Science Foundation, the Eunice Kennedy Shriver National Institute for Child Health and Human Development, the Institute for the Social Sciences, and the Bronfenbrenner Center for Translational Research.